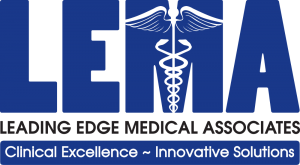 Dr. Christopher Dunnahoo, current Champion EMS Medical Director, Director of Mentoring and Onboarding, and Co-Director of LEMA Leadership Institute, has been elected to the American Health Council’s Board of Physicians. With 15 years of work within the healthcare industry, including 11 in his current position(s), Dr. Dunnahoo is being recognized for his expertise in Emergency Medicine, EMS Medicine, Mentoring, and Leadership. 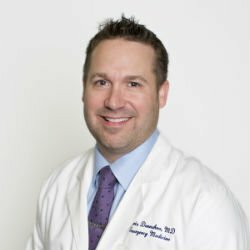 Obtaining his MD in 2002 from University of Texas Southwestern Medical School, Dr. Dunnahoo also holds an MS in Health Management from University of Texas at Dallas. He also holds a Bachelor of Science in Biomedical Science from Texas A&M University, and completed his Residency in Emergency Medicine at Vanderbilt University Medical Center in 2005. At LEMA, Dr. Dunnahoo partakes in a multitude of daily responsivities, including patient care as a staff Emergency Physician. As Co-Director of the LEMA Leadership Development Institute, he helps educate and train young physicians with the knowledge and skills to become effective leaders of tomorrow. As Director of Mentoring, he organizes and leads LEMA’s Mentoring Program. As Champion EMS Medical Director, he leads all clinical aspects of patient care, including protocol development, quality assurance, EMT-Basic and Paramedic education and continuing education. Apart from his positions at LEMA Institute, Dr. Dunnahoo is Medical Director of Kilgore Fire Department, and is currently seeking Coaching Certification through the International Coaching Federation. He is a Co-founder of Communicare Technology, now Pulsara, where he served as Vice President of Operations from 2012-2013. Professional awards and honors earned by Dr. Dunnahoo include becoming a Fellow of both the American College of Emergency Physicians and the American Academy of Emergency Medicine. He is an Advisory Board Member to Pulsara, and a Member of both the American Association for Physician Leadership and the National Association of EMS Physicians. Apart from practicing Medicine, Dr. Dunnahoo is a certified Blackbelt in Yoshuki Karate. 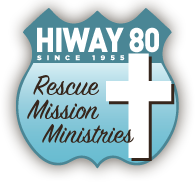 He is also on the Board of Directors for School for Little Children, the Board of Trustees for Christian Heritage Classical School of Longview, and a Volunteer Physician for Hiway 80 Rescue Mission Clinic. Dr. Dunnahoo cites his 20-year marriage and 4 children as his most precious personal achievements. In his spare time, he enjoys spending time with family, and maintaining an active lifestyle through a variety of physical fitness programs. Our Mission is to provide exceptional healthcare with honesty and integrity to our patients and the East Texas community. We are committed to providing outstanding service to the community we serve. To our valued patients and their families, we strive to ensure high quality care with efficiency, competency and compassion. To our valued colleagues, we are dedicated to encouraging and maintaining an environment of teamwork in obtaining our collective goals. To our valued business clients, we strive to enhance our respective reputations through dedication, hard work, and innovative leadership while tackling the unique challenges encountered in our ever-changing medical climate. Keith A. Perry, MD Safiya K. Lyn-Lassiter, M.D.